Using low-cost PCBs (printed-circuit boards), you can easily design a board in a few hours with nearly any CAD packag (even the free ones). Most suppliers can fabricate a PCB with line width and spacing down to 0.006 in. Make a quick-turnaround PCB for RF parts article tells that RF circuits usually need 50Ω traces for proper circuit operation. Parts get smaller, but the laws of physics don’t change. Thus, a microstrip trace on a 0.062-in.-thick standard prototype board that was calculated to be 0.11 in. wide 30 years ago is still 0.11 in. wide today. Many surface-mount parts are far smaller than their predecessors, so two-layer prototype boards for RF prototyping easily seem to be unsuitable for today’s small SMT (surface-mount-technology) parts. Make a quick-turnaround PCB for RF parts article tells also one promising alternative. You can use a CPWG (coplanar-waveguide-over-ground) structure to build 50Ω RF traces on PCBs. A CPWG structure lets you make the required trace width smaller than that of a microstrip structure. This approach is better than using a 0.11-in.-wide trace and is compatible with SMT-sized parts. This is a good reminder that microstrip is just one of the techniques to use for microwave and other RF circuits. The advantages of coplanar waveguide are that active devices can be mounted on top of the circuit, like on microstrip. GCPW can provide extremely high frequency response. The main reason that CPW is not used is that there is a general lack of understanding of how to employ it within the microwave design community and a lot of CAD programs don’t support it. There are on-line calculators for Coplanar Waveguide Calculator and Grounded Coplanar Waveguide. 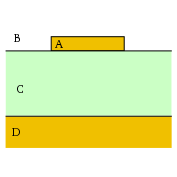 Coplanar Waveguides (both with and without ground) can be seen in use on modern electronics circuit boards. Nice site. I would to RSS, but I dont see the link. Works for me well with IE well. With what version of IE did you get the problem you talked about, so I can check the situation? Along with the whole thing that appears to be building inside this particular subject matter, a significant percentage of viewpoints happen to be relatively stimulating. Nonetheless, I beg your pardon, because I do not give credence to your entire idea, all be it exciting none the less. It seems to us that your comments are actually not completely justified and in actuality you are your self not even fully confident of the argument. In any case I did take pleasure in looking at it. Muchos Gracias for your personal weblog short article.Significantly thanks yet again. Awesome.